It is said that Scotsman and St Andrew’s Church benefactor William Hopper, together with British managers at his machine-tool plant near today’s Dobrininskaya Metro, may have kicked the first football into play in Moscow. 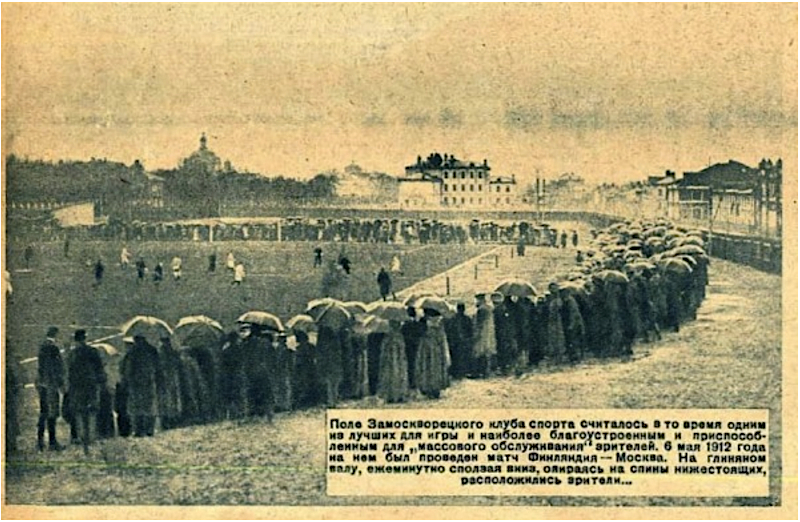 Crowd watching a match between Moscow and Finland in 1912, at the Zamoskvoretsky Club, founded by George Baince. Any study of Russian industrialization in the mid to late 1800s will reveal a rich genealogy of British families who drove that industrialization. There were the McGills, cotton growers and textile producers; the Smiths, foundry owners and boilermakers: dry goods retailers, Andrew Muir and Archibald Merrilees; Williams Hopper who opened his machine-tool plant in 1847; Charles John Gibson and many others who immigrated from England’s Lancaster area and from Scotland to seek their fortune. Some of these families had lived for generations in Russia. They built St Andrew’s Church in 1882 -1884, a centre then and to this day of the British and English-speaking community and religious life at 8 Voznesensky Lane in Moscow. Shortly thereafter, they captured the Russian imagination by bringing to Moscow one of Victorian and Edwardian Britain’s favorite pastimes: football. + William Hopper, whose workers played football on a green at Hopper’s first machine building plant. Plant managers encouraged sport as a way to keep their workers sober. In 1886, Hopper opened a second plant, an iron foundry in Orekhovo-Zuevo in Southeast Moscow, where he also built a pitch. Hopper also supported the Zamoskvoretsky Sports Club, which was founded by Englishman George Baince. 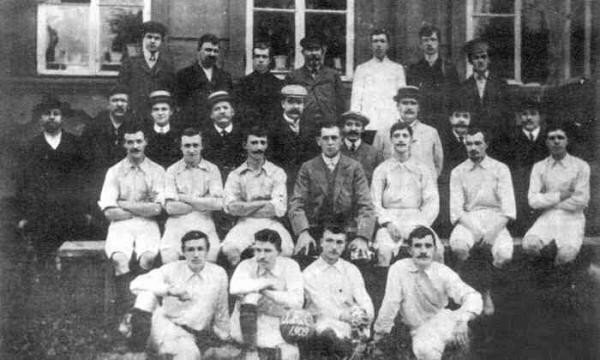 While the club’s players were mostly Russian, several Britons participated as well. + St Andrew’s warden and tallow manufacturer Charles John Gibson built a football field at his Stearin candle factory in 1909. His son, Allan Gibson was the first treasurer of the British Sports Club, which built the pitch at Nemetskaya Sloboda. One notable club member was St Andrew’s organist Peter Doon who lived in the church basement and represented Kodak Co. when photography was in its infancy. 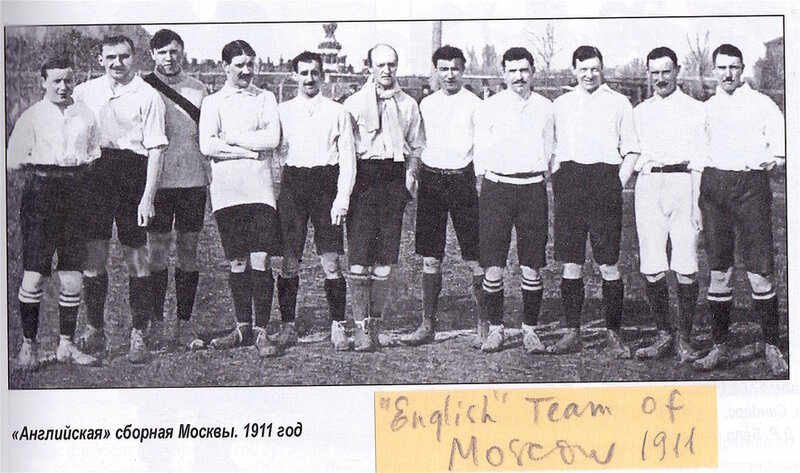 It should be noted that the British Sports Club was among the first six members of the Moscow Football League. + St Andrew’s church wardens were one and the same with the management of the British Sports Club: the club’s president was church warden George Godfrey Hedley; 1st vice president was church warden Henry Allan Talbot Bowe (a partner in Faberge); club managers Theodore and Andrew Bell were sons of St Andrew’s warden James Ellerby Bell, and Allan Gibson was the son of warden Charles John Gibson. Then there was Guy Mirrielees and Albert Smith, also St Andrew’s members. + Harry Charnock started Russia’s first professional football team, Morozovtsy, which was based at the Orekhovo-Zuyevo cotton mills in Southeast Moscow (near the Hopper plant and owned by Russian industrialist Vikula Morozov and his sons). After the Russian Revolution, historians suggest that some Morozovtsy players may have formed the core of what is today’s Moscow Dynamo, while others say members of the Soviet secret police created Dynamo and that the Morozovtsy team morphed into Znamya Truda. + William Lewis Cazalet, whose family held a major share in the Muir & Mirreilees dry goods retailer also created a football field. Muscovites still shop at the original Muir & Mirreilees building, which is today’s TsUM department store behind the Bolshoi Theater. The Gothic tracery and architectural details in the exterior walls betray any attempt to hide the building’s British roots. It is extremely difficult to find out when exactly football started in Moscow, maybe even impossible due to the controversial stories told. When it first started, there were no organized societies and therefore there were no calendars, notes or protocols. In any case we know for sure that by 1895 football was flying all over the field at Hopper’s plant field and the multi-coloured shirts of the Moscow English colonists were flickering here and there. There is a saying that ‘the first swallow doesn’t make a spring’, but these swallows, running around the first football field, did make a spring, the spring of Moscow football life. These were energetic people who were not afraid of being ridiculed that ‘bearded and mustached boys are playing ball’, who made football a new way of physical development in Russia and whose names we will never know. So in the summer of 2018, St Andrew’s newest generation of football enthusiasts welcomes you to Moscow for the World Cup. We hope you enjoy your stay in the Russian capital and we invite you to visit us at 8 Voznesensky Lane, a 10 minute walk from the Kremlin. Join us for a Sunday service (8:30 a.m. and 11:00 a.m.) or a Wednesday evening service at 7 p.m. There are also concerts in the Church. And if you are just in the neighbourhood drop by and say hello! We are open every day from 9:30 a.m. to 9:30 p.m.